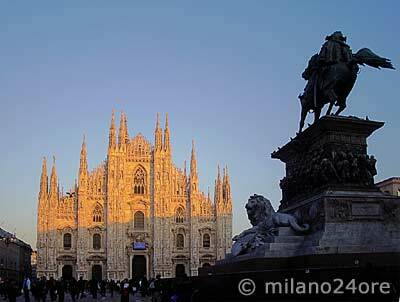 Milan Cathedral is located in the heart in Piazza del Duomo. The Catholic Cathedral is the most important example of Gothic architecture in Italy. Particularly beautifully are the windows of the cathedral, telling the biblical and religious stories. A special highlight is the views across the Alps from the terrace of the cathedral. 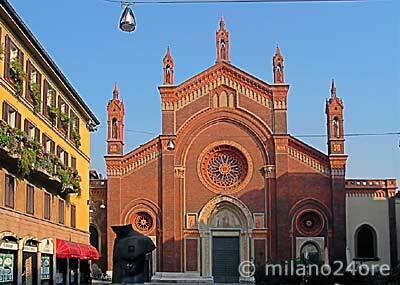 The church of Santa Maria delle Grazie is one of the most beautiful Italian churches and typical of the late Gothic architecture of Milan. It was built by the Dominicans 1463-1482. In the years 1495-1498 Leonardo da Vinci painted. 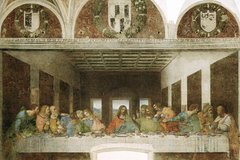 the famous mural "The Last Supper". The sacristy hides access to a secret underground passage that connected the church with the Castello Sforzesco. The sacristy houses the exhibition the Leonardo da Vinci's Codex Antlanticus. 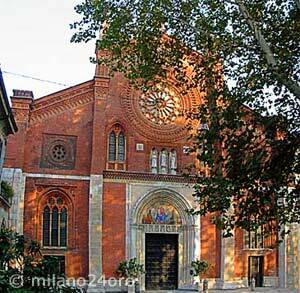 The Church of Sant'Ambrogio is one of the oldest and most important churches in Milan. 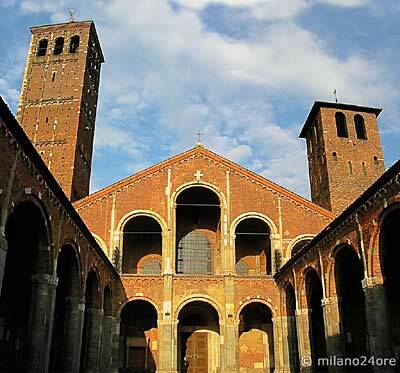 Sant'Ambrogio is one of the five Romanesque churches of Milan that were consecrated by Bishop Ambrose . It is surrounded by two bell towers. The three naves contain important works of art and a valuable marble sarcophagus. Of particular note are the mosaic ceiling of the apse from the 12th Century, the mosaic of St. Ambrose in the chapel of San Vittore in Ciel d'Oro, and the treasury. The church of Sant Eustorgio became famous for the legend of the Three Kings. The bishop Eustorgius from Constantinople took the relics of the Three Magi from the East in a cart to Milan. The bones and relics of the Magi were later kidnapped by Barbarossa to Cologne and partially returned after several hundred years to Milan. The church and the priests Pietro da Verona was murdered and canonized. His vestments are kept in the marble coffin in the Cappella Portinari of the Church of St. Eustorgio. 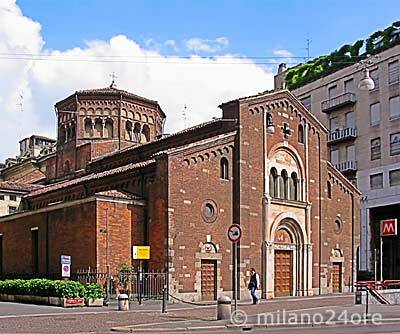 The San Babila Church on the homonymous square dates from the 11th Century and is one of the oldest churches in Milan, with a facade in Romanesque Lombard style. In front of church Robecco built the lion pillar in the year 1626. 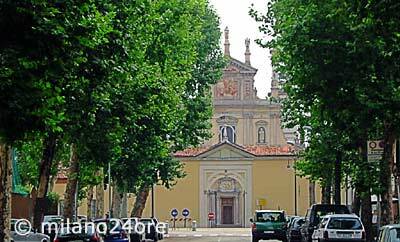 The correct name of the church is "Santa Maria della Scala in San Fedele". When the church of Santa Maria della Scala, was demolished for the construction of the new theater La Scala, the items were taken to the nearby church of San Fedele. Thus, the church of San Fedele was the sanctuary for the Ballerinas of La Scala. 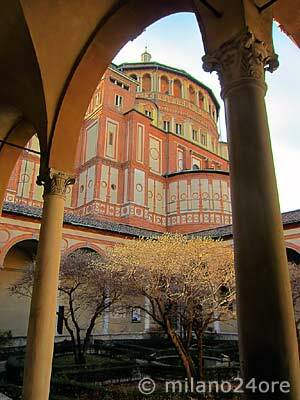 The church of Santa Maria del Carmine is situated between the Brera district and the Castello Sforzesco. It was reconstructed several times in its history and received in 1880 its present face in the Gothic-Lombard style. 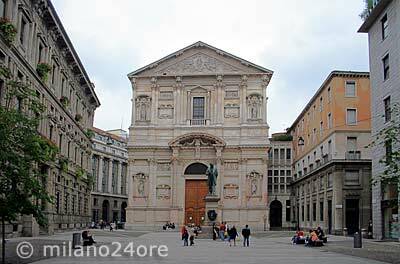 The Church of San Sepolcro on the homonymous square has been founded in 1030 on the grounds of the Forum Romanum in the heart of Milan. Saint Mark is the patron of Venice. The Church of San Marco was built in gratitude of Milan for the support of Venice in the battle against Barbarossa. 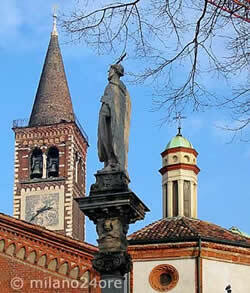 The Church of San Marco was frequented by the young Martin Luther and Amadeus Mozart. In his honor every year is held a concert in the church. The church was built in 1503 on the ruins of an ancient church. The main attraction of the monastery are frescoes, including a beautiful cycle of the 15th Century as well as wall paintings by Bernardino Luini. The basilica of "San Lorenzo Maggiore all Colonne" with its immense dome is located in Corso di Porta Ticinese, opposite the 16 Corinthian marble columns that belonged in the Roman Empire to a temple. 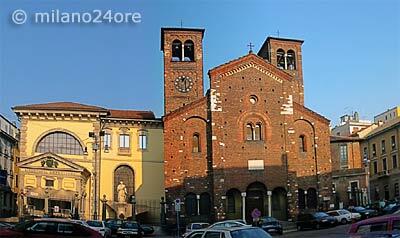 The church of Santa Maria delle Grazie al Naviglio emerged in 1556 on the walls of a small church from the 4th Century. In the old sacristy there is a picture from the 16th Century (The crossing of the Red Sea). The early Christian church of San Simpliciano was built by the Bishop St. Ambrose in the 4th Century and completed by his successor, the Holy Simplician, who has been also buried here. The temple was built in 16th San Sebastian Century by order of San Carlo Borromeo (1576) according to a vote of the government of Milan, to exterminate the plague. 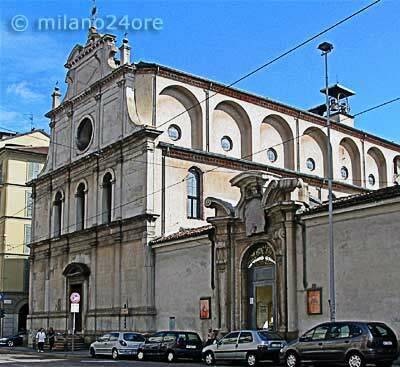 The St. Alexander Church was initiated in 1601 and documents the Milanese Baroque style. Noteworthy are the beautiful altar and the paintings inside the church. According to a legend there was the temple of Mercury and Apollo at this location before the first bishop of Milan, Bishop Natale founded the first Christian church in the year 750. 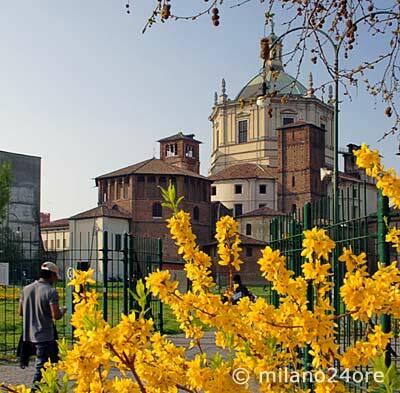 The monastery Certosa di Garegnano in Milan is the first Lombard monastery of Certosini (Carthusian), founded by Giovanni Visconti in the year 1349.